Like many other Web sites, oilerhockey.com makes use of log files. The information inside the log files includes internet protocol ( IP ) addresses, type of browser, Internet Service Provider ( ISP ), date/time stamp, referring/exit pages, and number of clicks to analyze trends, administer the site, track user’s movement around the site, and gather demographic information. IP addresses, and other such information are not linked to any information that is personally identifiable. 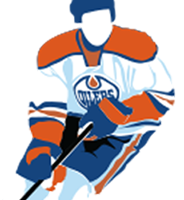 Oilerhockey.com publishes Google Adsense interest-based advertisements on this website. These are tailored by Google to reflect your interests. To determine your interests, Google will track your behaviour across the web using cookies. You can view, delete or add interest categories associated with your browser using Google’s Ads Preference Manager, available at: http://www.google.com/ads/preferences/. You can opt-out of the Adsense partner network cookie at: http://www.google.com/privacy_ads.html. However, this opt-out mechanism uses a cookie, and if you clear the cookies from your browser your opt-out will not be maintained. To ensure that an opt-out is maintained in respect of a particular browser, you should use the Google browser plug-in available at: http://www.google.com/ads/preferences/plugin. oilerhockey.com has no access to or control over these cookies that are used by third-party advertisers.